Don't Delay! Your Driver's License is Subject to Immediate Suspension! You can do Something About Your DUI. Call Today! Patrick Mahaney is an aggressive and experienced Montgomery DUI lawyer who understands the particular nuances of the law surrounding this complex area of legal practice. He is a noted authority on Alabama DUI and traffic law and is the author of the recognized treatise Alabama DUI Defense: The Law and Practice, now in fourth edition printing. Mr. Mahaney, a former prosecutor and former assistant state attorney general, has successfully represented hundreds of persons arrested for DUI throughout central Alabama. If you are interested in retaining an experienced and competent attorney who will personally handle your case, you have found your attorney. Being convicted of DUI can seriously affect your life and your future. 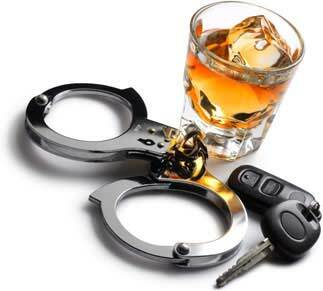 A DUI conviction can result in jail time as well as the loss of driving privileges. Heavy fines and court costs are a direct consequence of a DUI conviction, as well as driver license suspension or revocation. If convicted of a DUI offense, the cost of your automobile insurance premium will be greatly increased or the coverage cancelled altogether. In addition, under Alabama's new ignition interlock law, you will be be required to install an ignition interlock device after certain "first offense" convictions and all second and subsequent convictions. In many cases, a suspended or revoked driver license as a result of a DUI conviction will result in job termination. A DUI conviction can also result in the denial of a government job or obtaining a government security clearance. You need to retain a knowledgeable and aggressive Montgomery DUI lawyer in any DUI related arrest. Although pleading guilty may seem like the least expensive way of handling a DUI, the long-term consequences of such a decision will be very serious. You need to weigh the long term impact of such a decision carefully with the advice of an experienced attorney skilled in DUI practice. "A major part of my law practice is focused on DUI defense. I help people fight their DUI arrest, and I put my 40 years experience to work for my clients. My primary goal in fighting your DUI is to help you avoid a conviction. If you have been arrested for DUI, you need competent legal representation. With proper representation by a Montgomery DUI attorney, it may also be possible to prevent the suspension of your driver license. As part of my initial consultation, I will help you decide the next steps you should take and advise you of your legal rights in this process." Do not delay; call today!